The Church dates from the 1400s. It is classified as a Parish Church and is a fit and suitable place to carry on God’s work. It has a fine Chancel (largely maintained by the Church Commissioners), 2 side Chapels and an imposing Nave. There is a vestry, kitchen, toilet and Meeting Room. It is fully accessible by the disabled. The Tower has four bells. There is a large car park – a distinct plus these days. 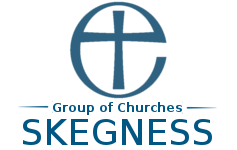 As a result of the vacancy, this has been reduced to one Sunday Service per month, the Church Wardens are anxious to re-instate a weekly Sunday service as soon as a new Incumbent is found. The Church Wardens will support a new incumbent if he/she wishes to implement further, different services. The organ, whilst modest in size, was built by “Father Willis” – the builder of the Royal Albert Hall Organ among others. Until recently, a Eucharist Service was provided for its congregation each Sunday. In our identification of our Mission Communities, St Mary’s was categorised as a Festival or Celebration church. 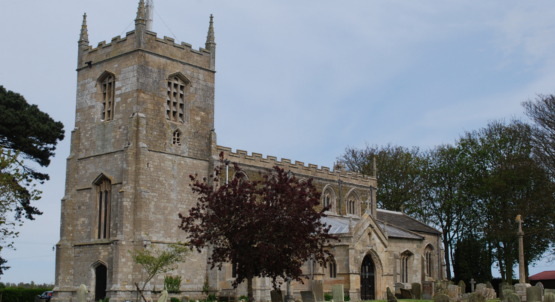 The Church provides the wider Parish with a venue for weddings, baptisms, funerals, school visits and occasional services such as a Christmas Eve Carol Service, early morning Easter Service, Ascension Day and others as necessary. An Art Exhibition is held in the Church for one week during Skegness Carnival Week. During 2007 we refurbished the north door of the church, which faces the car park, and it is now used as the main door. A path has been laid up to it and an inner porch with oak panelled lobby constructed. A kitchen and disabled toilet is situated in the space below the bell tower. The churchyard and town cemetery are adjacent to the church in a quiet, peaceful and picturesque setting. Here people may spend time with their lost loved ones. The Church is a beautiful, ancient building and much admired by both the congregation and visitors. St Mary’s is a lovely old church situated at the western tip of Winthorpe in the heart of the Lincolnshire Countryside, although a mere “stone’s throw” from the busy A52 road between Skegness and Butlins Holiday Centre, Ingoldmells.